First it was the Prince of Pop, Ali Zafar, who made his bollywood acting debut with the film Tere Bin Laden, bagged a second-lead role in Yash Raj Films’ Mere Brother Ki Dulhan and another one, apparently in David Dhawan’s Chashme Badoor, and now its well known, that the heart-throb for millions of Asians, the Pop sensation, Atif Aslam, who will be making his acting debut in Bollywood in a film being produced by Kumar Taurani of Tips. 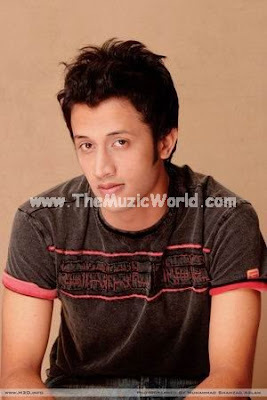 Atif Aslam has already made his acting debut in a Pakistani film Bol, which has been directed by Shoaib Mansoor, and is slated to release next year. Vinnil Markan, the associate director of Prince, will direct the untitled film.